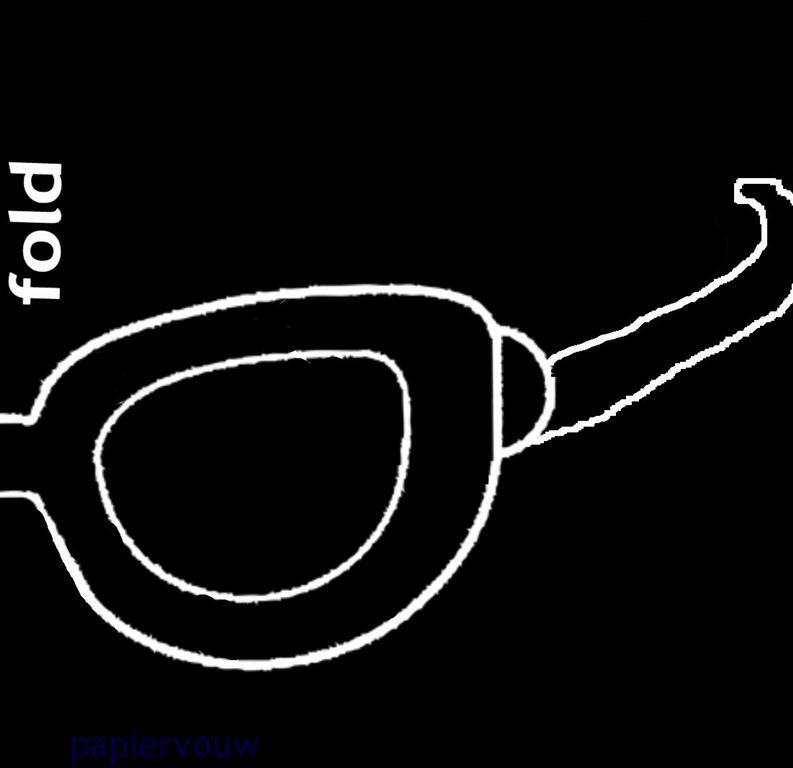 Draw half sunglasses against the fold of a black sheet. Cut the glasses. Draw a summer scene on the white sheet. Colour it. 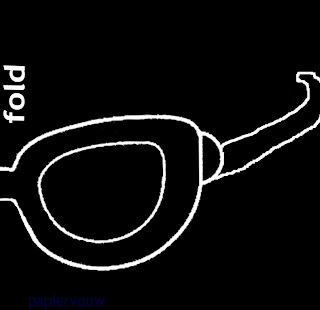 Put the glasses on it and slide until you see the best part. 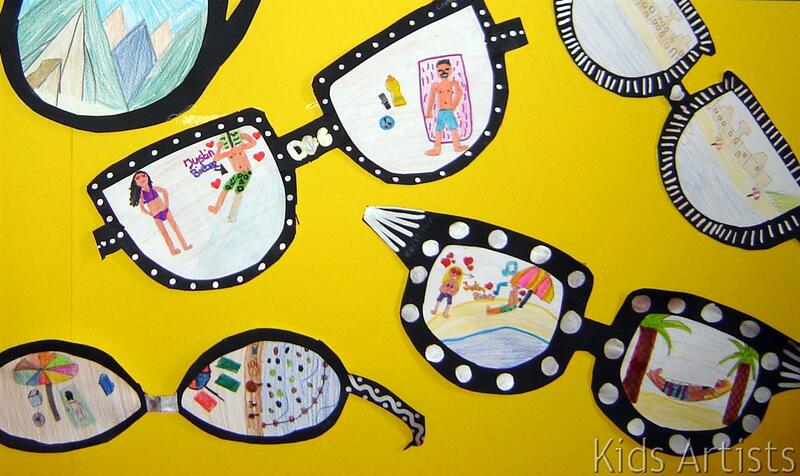 Paste the glasses on the drawing and cut them again. Decorate the glasses with gold or silver marker. Love this idea! It would make a wonderful bulletin board display! I added to our bulletin board gallery @ theclassroomcreative. Thanks for sharing! This idea is so CUTE!!!! I can't wait until May, what a great End of School Year Bulletin Board Idea, as well as beginning of school year. THANKS! The most beautiful soccer ball!